UNDER CONSTRUCTION! One time only. 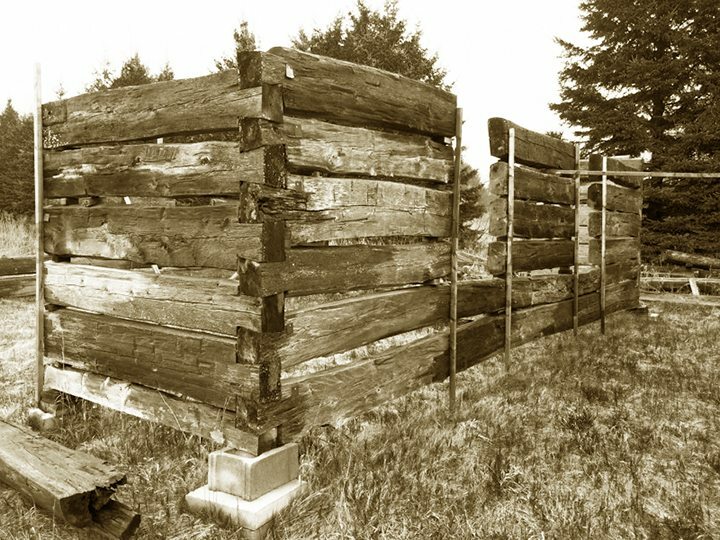 A period log building circa 1850. For all those who need to avoid stairs (like old-timers like me). This one is 27 feet long with an optional width of between 22 and 24 feet (depending on the use of French Doors or a fireplace at the gable ends). Design plans included. Above and Below: Period log walls will accept an optional 40″ x 60″ Tradition Window. Bottom: An example of the kind of window this house would have. At Left: Elevations of completed house.